If you paid for it, you should be able to read it. For publicly financed science research, the Obama administration agrees. I’m aware that this decision wasn’t just because of this We The People petition (which I signed) but it’s nice to think that the petition has an effect. Read the entire memorandum here (pdf) and here is the short post on the White House blog about it. The Association for American Publishers is in favor of this move, in contrast to their strongly worded opposition to the FASTR Act, a bill endorsed by many library associations. 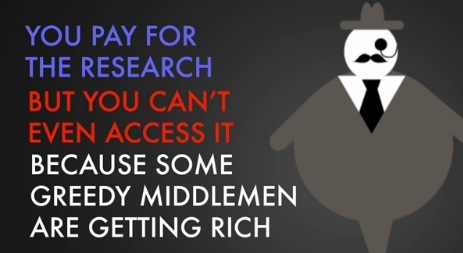 Read more about the Open Access to Research movement. This is yet another “big deal” open access move in what is starting to look like The Year of Open Access.